56% believe gun related crime is higher today than 20 years ago. Only 12% believe it’s lower. In truth, the rate is nearly 50% lower in 2010 than 1993. And firearm related violent crime was 75% lower in 2011 than 1993. I am pretty sure we can thank the mainstream left media for that discrepancy. From a report/study published in 1996, which itself was based on a phone survey of a mere 250 people. Note that the study wasn’t even addressing background checks. It simply asked the gun owners if the seller was a licensed FFL. (Versus family member, gun trade, unknown, etc). Per wikipedia, the NICS background check system was implemented on November 30, 1998. How does FactCheck.org (yes, that bastion of unbiased political fact checking) sound off on the issue? No one can say for certain? Yes, a 3rd grader researching this issue could say for certain sir. ACTUALLY, it’s a flat out lie. NICS background checks weren’t even implemented at the time of the survey. So that makes it false. Second, the conclusion was mis-applied. Third, the total was closer to 35%. And lastly, with only 250 acquisitians surveyed, the study is questionable from a scientific standpoint. Furthermore, it’s from 1996. That’s a bit long in the tooth. In truth, it was the gun issue that made me lose faith in these “non-biased” fact checking sites. As there is a continual strong bias against guns. But every now and then they get it right. But then again, this is Rangel. It’s hard to wrangel any truth out of that guy. Apparently police have seized an “arsenal” of guns from a home on Long Island. And well, this time they got it right…. 300+ guns (230 rifles, and 85 handguns). So immediately when I saw that report, the very first thing that came to mind was. “I bet this guy used to be a licensed FFL.” And wouldn’t you know it, sure enough. The guy was a licensed dealer until 2004. I wager the arsenal was his stock of firearms when the business ended. Now, granted, the article declares he had 85 illegal handguns. But by that, I believe they mean 85 unregistered handguns. That were probably legal when he was a licensed dealer. And ceased to be when that license expired. That’s probably something licensed dealers don’t really think about much. IMHO, he should have rented a U-Haul, and brought them all to an licensed FFL in PA and jointly sold them at a gun show. I wager he bought many of those before 2004. So his wholesale cost was probably way below today’s prices. That said, they mention he had business cards with his expired FFL#. So I wager they may nail him on “dealing without a license”. For the next few months, expect any incident of gang violene, murder, etc that utilizes a firearm and involves more than two people to be “front paged”. Just today there was an article on a police officer killing his family in Vegas, a second about what sounds like a gang related shooting in a Texas community college. The truth is if there are 8,000 non-self inflicted firearm deaths a year. I am concerned that the news media will begin covering every shooting they can, just to keep guns on the front page until they get what they want. One does not see them taking similar action with automobile accidents, or even drunk driving. They are digging for headlines. And it affronts me that the media is our #1 enemy in this fight. 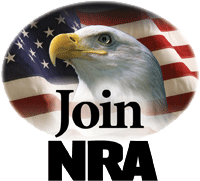 The agency that should be most vocal and fighting for liberty. I’d be content if they even just took a balanced approach, allowing our supporters to provide our arguments. But that’s not the case, they are wholly and actively working for a cause. And that is frustrating – but nothing we didn’t already know. While not firearm related, I know many gun enthusiests also have an interest in both technology and history. The link below is an article about very early ‘audio recordings’. It includes a recording of the very first recording by man that is known. The recording pre-dates Thomas Edison’s and was done by a French man. However, his system only recorded the voice pattern; having no means of playback. But researches noted the pattern was very similar to modern digital audio wave recordings and reconstructed it. Frankly, I just find it neat to listen too. Think of it as the very first “podcast” downloand. The newspaper of my former hometown of New Haven Connecticut has done a series on “Guns”. Rather interesting page. It has a number of videos on different perspectives of guns. From a forensic detective to the history of Winchester in New Haven. There is even a piece on shooting clays. The one video segment that is on New Haven’s crime and violence problem even came across with points more focused on the criminal activities than on guns. Albeit, commenting about New Haven youth turning to guns. Below the videos are several articles. Some are decent some are trash. Tennessean Guest Editorialist throws facts and reason out the door. Really, um, can you please explain to me what this means? Seems your premise is rather weak. Unless you want to throw out our Constitution and bill of rights. But then you’d have to get rid of the freedom of speech, freedom of and from religion, right to a fair trial and much more. Oh, btw, it turns out that the Pennsylvania gun-toting mother actually did have reason and justification to carry her firearm openly. Several months later she would be murdered by her husband, who worked as a parole officer. Perhaps her open-carrying that firearm and letting her husband know she was prepared not only kept her safe that day, but also kept the children safe. Once again your supposition is wrong. The Supreme Court found that DC’s ban was unconstitutional. That does not mean that only DC’s ban in unconstitutional. Just that said decision only related to DC. And when that decision is incorporated, what will your argument be then sir? Lastly, you make the assumption that what the government does is Constitutional. When in fact most of what our government does these days is in fact unconstitutional. Let’s address this statement a little more honestly. There are two points to be made. 1) 107 people killed by permit holders. What is the breakdown of that statistic. Does that 107 number represent rapists shot dead by women defending themselves? Or robbers shot dead by a father protecting his home and family? To quote such a statistic without an accurate descriptor is poor behavior. Can you tell me how many police officers we have in the United States? Can you tell me how many people were killed by police officers in 2007? Do you want to bet $20 that our police have a higher percentage rate? So is that why a state ranked very low by the Brady Campaign and consider to have way too many firearm freedoms had ZERO murders via firearm in 2008. Find a state on the bottom of Brady’s list that has higher crime than the ones on top. Snowflakes In Hell pointed to this article of a man stopping what would likely have been a multi-person murdering spree. The citizen who stopped the event in Oklahoma City did so by means of pointing his firearm at the individual who retreated. Sebastian commented on how little coverage this event received. Some accuse the media of being biased, others say it’s a matter of $$$ and sensationalism – and things don’t get printed unless they’re sensational – and can therefore make money. I have grown toward the third category. I believe a fair amount of the media is malicious. Adhering to a set dogma they are deliberate in their focus, and even more deliberate in their silence. If the event does not fit their side of the coin, then silence is the only option. We can see this on 2nd Amendment issues. When the event supports the people’s right to keep and bear arms, the media is silent – even if it is a sensational story ($$$). We saw it regarding the coverage of the Tea Party on 9-12. Hundreds of thousands, if not more than a million, Americans gathered and received paltry coverage from the media. Were it a favored agenda with a mere 2,000 people it would be a week of headlines. We saw it when two pro-life life protesters were murdered. The number of articles and coverage of the event was paltry, especially compared to how much coverage the murder of an abortion doctor received. There was plenty of $$$ to be made by covering such a sensational event. Why bury it? These actions go far beyond “bias” or “ignorance” and are clear evidence of a far more malicious action upon the part of mainstream media. In fact, I don’t even think that is a good term anymore. Mainstream has some connotation to the people, the masses. It’s really the “Conglomerate Media”.